Two major transportation projects involving four ARTBA members are getting started inside the Capital Beltway. 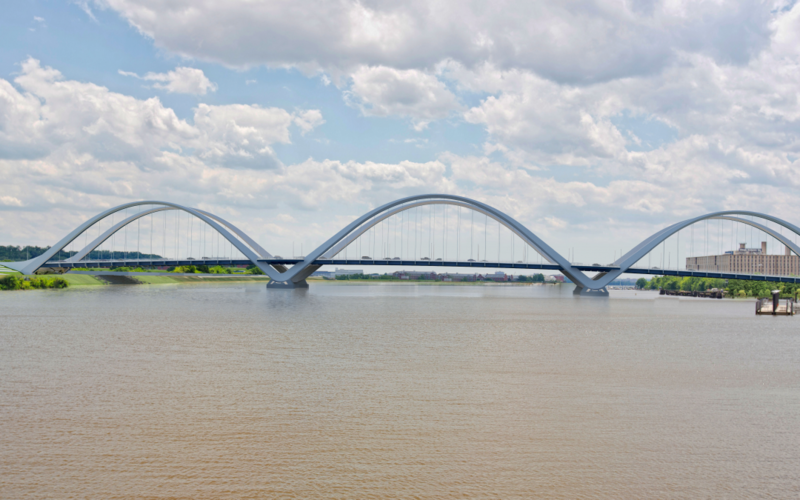 Washington, D.C., announced the largest construction project in its history: replacing the Frederick Douglass Memorial Bridge, which opened in 1950 over the Anacostia River, with a parallel, six-lane structure. The existing bridge has four lanes. The project includes the reconstruction of the interchange with the Suitland Parkway and Interstate 295. The new bridge will include pedestrian and multi-modal transportation options. The District government awarded a $441 million design-build contract to South Capitol Bridgebuilders, a joint venture of Archer Western Construction and Granite Construction, with AECOM as the lead designer. All three firms are ARTBA members. The conversion of two reversible HOV lanes on Interstate 395 in Northern Virginia to three reversible toll lanes began earlier this month. The toll lanes will be free with three or more people in the car and an E-ZPass Flex starting in 2020, when work on the 8-mile stretch is slated to finish. The $475 million project is overseen by ARTBA member Transurban under its public-private partnership agreement with the Virginia Department of Transportation. In addition to these two major projects, a $3 billion, 11.4-mile extension of the region’s Metrorail transit system in Northern Virginia to Dulles International Airport is currently underway. An effort to build a nearly $6 billion, 16-mile light-rail line through the Maryland suburbs north of downtown D.C. is getting closer to clearing legal and funding hurdles.